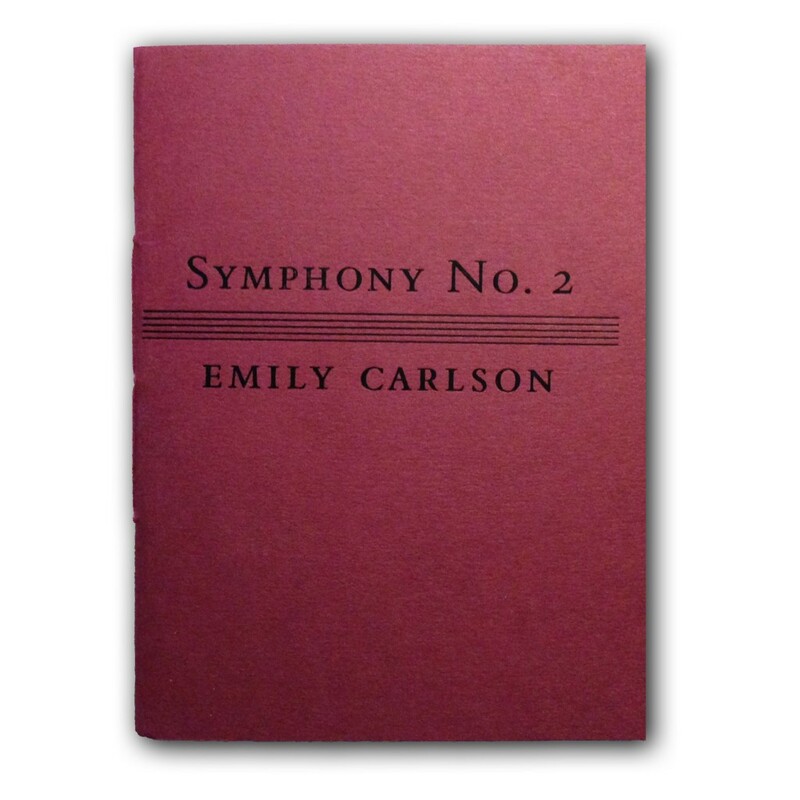 “Remember, your obligation is not to a place but to a life”: these are the words poet Suzanne Gardinier offers Emily Carlson at the outset of the journey traced in Symphony No. 2. Amazingly, Carlson keeps her promises to both place and life in these poems, which document the poet’s lived experience of the July 2006 invasion of Beruit, Lebanon by the Israeli Defense Forces (IDF). Carlson’s breathless telling of “the story” deftly manages a multi-modal, sound-rich syntax, one which reflects urgency while making room for real beauty:”I’m a frayed knot, me, ten million times,” she writes, letting us feel how language can work when its stakes are at their highest. Emily Carlson lives with her partner and their child in an intentional community in Pittsburgh, Pennsylvania. Her poems have appeared in Aufgabe, Bloom, Denver Quarterly, Fence, jubilat, Slope, Whiskey & Fox, The Harp & Altar Anthology and elsewhere. She is the recipient of a travel grant from the Syria-Lebanon Nationality Room at the University of Pittsburgh, a fellowship at the Bucknell Seminar for Younger poets, and a prize from the Academy of American Poets. She teaches reading and writing courses that incorporate mindfulness practices and anti-racism education. Emily earned a BA at Sarah Lawrence College and an MFA at the University of Pittsburgh. With friends, she runs the Bonfire Reading Series. Posted by Elizabeth Clark Wessel, November 10th, 2015.